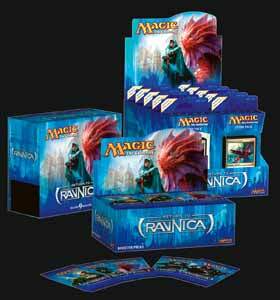 Each of the new intro packs for Return to Ravnica features a 60-card deck which includes a foil premium card, two sealed 15-card booster packs, a strategy insert, and a Magic "learn to play" guide. In addition, the new packs feature new mechanics - one for each guild. This helps to keep the game fresh to seasoned gamers. 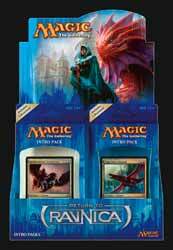 Not only will these new packs appeal to gamers who have been there since the start, but it also offers a leg-up for new gamers who may have been put off in the past by how complex everything appeared. Yes, it's not simple to jump straight in, but that's the beauty of this card game. While there is an element of luck, strategy and experience help to ensure you gain the advantage over your fellow gamers. These new cards are well worth picking up and adding to your collection - or giving as a gift to someone as an introduction to playing the game.